Jacksonville Jaguars: With their first win in the bag, Jacksonville is only seven games out from the end of the season. Seneca Wallace: Looked unstoppable in his first start as Packers quarterback, completing every single one of his pass attempts. New York Giants: Oh God. This is not happening. Rob Ryan: Fired by the Cowboys this past offseason, the Saints' defensive coordinator was humiliated in his first game against his old employer after his players only sacked Tony Romo three times. 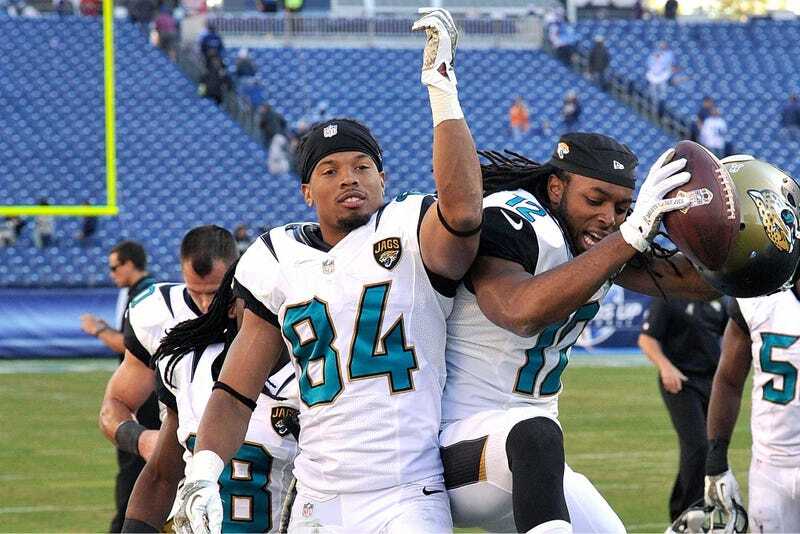 Jacksonville Jaguars: Their first win of the season was somewhat cheapened by the clapping and cheers from the Tennessee Titans sideline. Baltimore Ravens: Responded to their 3-5 start to the season just like the Super Bowl champions they technically are.